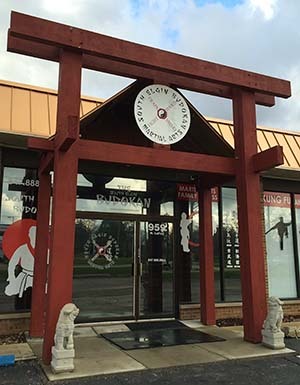 The term ‘South Elgin Budokan Martial Arts’ or ‘us’ or ‘we’ refers to the owner of the website whose registered mailing address is 2702 Denali Suite #201 Anchorage, Alaska 99503. The term ‘you’ refers to the user or viewer of our website. 2.1 You may not sub-license, resell or otherwise market the southelginbudokan.com concept other than as a website. You may not use the concept, design, layout and/or other elements to compete with us. 2.3 We retain rights in the underlying source code, standard functionality (including, but not limited to, web site structure, coding, contact forms, and scripts), and/or the material. We retain ownership, including the right to use, license, sell and otherwise commercialize the material and/or the concepts developed by us in performing our work hereunder for other purposes, including, but not limited to, creating other websites which incorporate functional elements of the southelginbudokan.com website. Client agrees to defend, indemnify and hold harmless South Elgin Budokan Martial Arts, its directors, officers, employees and agents from and against all claims and expenses, including attorneys’ fees that may arise or result from any content Client submits, posts, transmits or makes available through South Elgin Budokan Martial Arts‘s services, from any product sold by Client, its agents or employees or assigns, from any service provided or performed or agreed to be performed by South Elgin Budokan Martial Arts or from Client’s breach or violation of the TOS, including any obligation, representation, or warranty made herein, or Client’s violation of any rights of another. Client further agrees to defend, indemnify and hold harmless South Elgin Budokan Martial Arts, its directors, officers, employees and agents from and against all claims and expenses, including attorneys’ fees, arising from or related to contracts, representations, agreements, promises, etc, made between Client and third parties, or arising from or related to Client’s negligence toward third parties. southelginbudokan.com website and its contents, including, but not limited to all included text, photographs, graphics, illustrations, video, sound, and other material (all these collectively referred to as “Content”) are protected under United States and international copyright laws and are the property of South Elgin Budokan Martial Arts or its third-party licensors. All rights reserved. 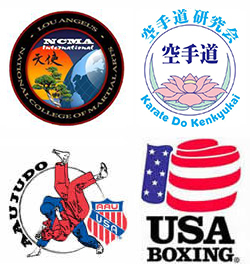 All logos, splash screens, page headers, custom graphics, and button icons displayed on the southelginbudokan.com website are service marks and/or trademarks of South Elgin Budokan Martial Arts or its third-party licensors. Copying, distributing, transmitting, displaying, modifying, selling, or participating in the sale of, or otherwise exploiting or using any Content or any marks in any form or by any means without the express written permission of the Company is strictly prohibited and shall violate the international copyright or trademark laws, those of the United States and/or other countries.